Wall Street fingerprints were all over the $4.5 bln 1MDB sovereign fund scandal. Malaysia’s new government, and others overseas, could reopen or step up enquiries – and come after lenders that raised and moved money. That poses renewed risk for Goldman and Deutsche Bank. Mahathir Mohamad reacts during a news conference following the general election in Petaling Jaya, Malaysia, May 10, 2018. Mahathir Mohamad, the leader of the opposition alliance that won Malaysia’s general election, said on May 10 that if the law showed outgoing Prime Minister Najib Razak had done something wrong, he would have to face the consequences. 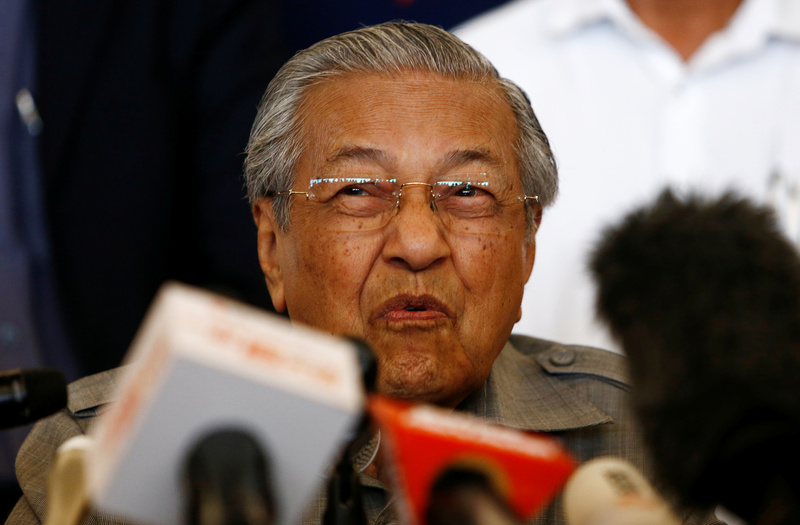 An alliance of parties spearheaded by the 92-year-old Mahathir won Malaysia's general election, official results showed on May 10, setting up the veteran strongman to become prime minister again. He was earlier premier for 22 years. Official results showed Mahathir's Pakatan Harapan (Alliance of Hope) won 113 of parliament's 222 seats, clinching the simple majority required to rule. Najib’s Barisan Nasional coalition had 79. Mahathir was once Najib's mentor but the pair have clashed over a scandal at sovereign fund 1MDB in which billions of dollars were allegedly siphoned off to foreign countries.